The tables have turned for a Philly restaurant owner, known for her epic parties, including her son’s $25,000 Dubai-themed prom, after she has been charged with Social Security fraud. 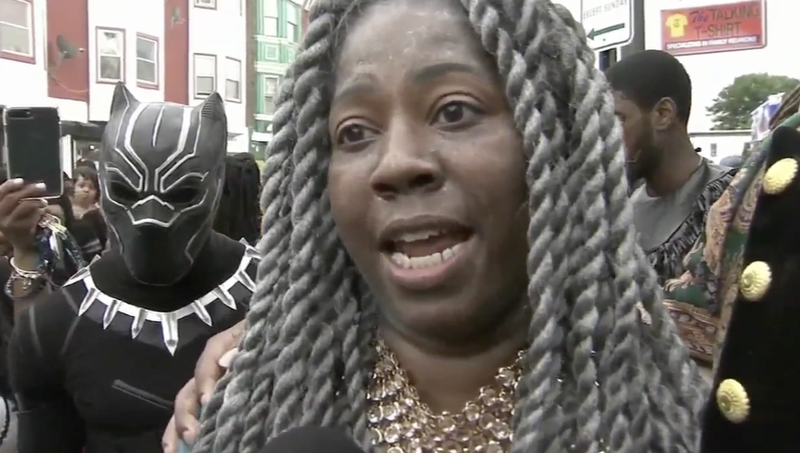 According to CBS Philly, 44-year-old Saudia Shuler is facing charges of six counts of wire fraud, one count of theft of government funds and two counts of social security fraud. Shuler is accused of claiming she was disabled and unable to work and applying for benefits from Social Security. Those benefits were approved, but Shuler allegedly continued to work, and even operated her own restaurant as the owner of Country Cookin’, a soul food take-out spot that has long lines as soon as the doors open. Shuler’s work and income was never reported to social security. “You can’t take what’s not yours,” Beth Leahy, deputy chief of Health Care and Government Fraud for the U.S. Attorney’s Office of the Eastern District of Pennsylvania, said of the alleged fraud they claim has been going on since 2014. If convicted, Shuler could face up to 140 years in jail, along with a period of supervised release, and will have to cough up some $36,785.67 to the government, on top of a fine and a special assessment. Accusations aside, Shuler is known in her community as a good and caring person. Last December Shuler threw an extravagant block party and toy give away which she dubbed “North Pole Comes to Norf Philly,” which featured live reindeer, a snowmachine, giant ice sculptures and more. Months before that her son’s prom party went viral after he was pictured with live camels, and a Rolls-Royce and several outfit changes, and dates.